A hero usually is only as good as their villain. And the best adventures are made better — more compelling, more poignant, more thrilling — when a stout adversary stands in the way of a movie’s protagonist. 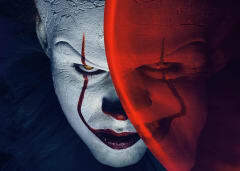 With that in mind, we went ahead and scoured the 2019 movie release schedule to spotlight a few ferocious-looking on-screen villains who will be heading to AMC® in the coming months. How many of these do you plan to see in theatres? Mahershala Ali is on fire at the moment. The powerful actor is poised to pick up another Academy Award® for his portrayal of a concert pianist touring the Deep South in GREEN BOOK. 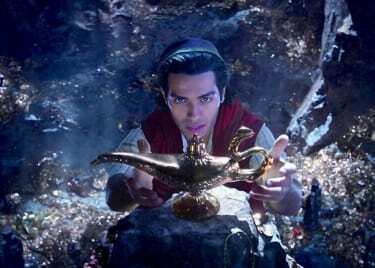 But Ali isn’t only made of prestigious arthouse fare, and he’s ready to step into the motion-capture world of ALITA: BATTLE ANGEL for director Robert Rodriguez. Vector, Ali’s character, surfaces during the Motorball sequences in the film — it’s a very popular sport, and he rigs the games to work in his favor. 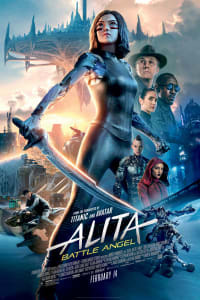 We’ll learn more about his fiendish plans when ALITA opens on February 14. Ben Mendelsohn seems like a very nice person. So, why does he keep playing on-screen creeps? After fighting the Rebels on ROGUE ONE: A STAR WARS STORY and trying to stop the kids in Steven Spielberg’s READY PLAYER ONE, Mendelsohn will play an out-of-this-world threat when he assumes the role of Talos for Marvel’s origin story CAPTAIN MARVEL. Talos is the leader of the Skrulls, shape-shifting aliens who have come to our planet with plans to take over. Just how far into our government will they be able to infiltrate? 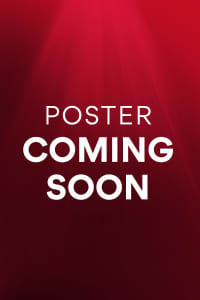 Find out on March 8. 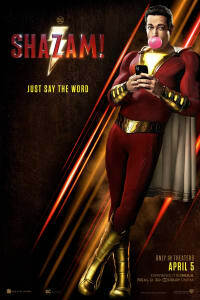 One of Shazam’s oldest foes, Dr. Sivana, is the classic mad scientist who’s frequently cooking up massive technological devices, all aimed at bringing Shazam to justice. Mark Strong will play the DCEU’s version of Sivana and likely will get a fresh origin the way that Billy Batson (Asher Angel) is getting an upgrade. 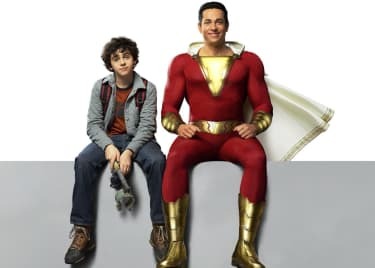 In the comics, Dr. Sivana’s main power is his intellect, and that’s tough to make exciting on screen, so we will see what SHAZAM! cooks up. You didn’t think we’d leave off the dude who wiped away half of the Avengers, did you? Thanos (Josh Brolin) succeeded where many others have failed. He beat Earth’s Mightiest Heroes, though we imagine that his victory will be short-lived. Still, countless Marvel fans will likely be lined up at AMC on April 26 to see how Captain America (Chris Evans), Iron Man (Robert Downey Jr.) and the rest of the surviving Avengers will counterattack the Mad Titan. When we last saw John Wick (Keanu Reeves), a global contract for his life had been posted, and the one-time assassin had been told that because he broke the rules, he would be “excommunicado” from the safety of the Continental. This means that once JOHN WICK: CHAPTER 3 – PARABELLUM gets underway on May 17, it will be Wick vs. the world, and that means a lot of bodies are expected to hit the floor. Keanu Reeves has proven very hard to kill in this series, but what tricks does he have up his sleeve for this sequel? A classic Disney villain gets a new interpretation, and we are so ready to see what’s on tap. 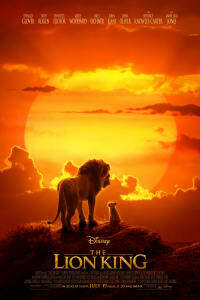 In July, THE JUNGLE BOOK producer Jon Favreau will bring the same live-action motion-capture wizardry to THE LION KING, breathing new life into the Oscar®-winning animated classic from 1994. And that means that the wicked Scar (Chiwetel Ejiofor) will be around to torment impressionable young Simba (Donald Glover). Ejiofor is an inspired choice to replace the sinister Jeremy Irons from the original film. Then again, everything about this new adaptation looks wonderful. Pop culture has a few iconic villains, and the Joker absolutely is one of them. 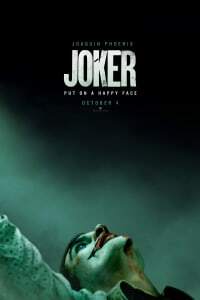 The Clown Prince of Crime has been interpreted several ways over the years and will get a different glance when Todd Phillips releases a Joker origin story starring Joaquin Phoenix in the lead role. We’re putting the Joker on this list for JOKER, due in October, because no matter what Phillips and Phoenix do with the role, he has to be a bad guy. Right? 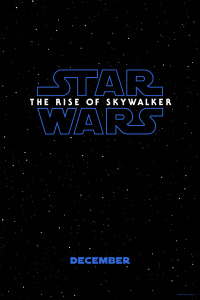 Outside of AVENGERS: ENDGAME, there isn’t a bigger blockbuster on the 2019 release schedule than J.J. Abrams’ STAR WARS: EPISODE IX, due in theatres on December 20. But what will be the fate of the complicated nemesis of the series, Kylo Ren (Adam Driver)? By all accounts, Kylo Ren is the embodiment of the Dark Side, who strives to be next in line to Darth Vader or even the deceased Snoke (who Ren killed). But Kylo Ren once was Ben Solo, son of Han Solo and Leia Organa, and EPISODE IX could be a redemption story for Ben — a return to the light. We’ll be ready for the culmination of this character’s arc, as will millions of STAR WARS fans around the globe, when this one hits theatres. Keep checking back with the AMC Scene for more details on all of these movies as we get closer their releases.